Colin McPhee was a talented pianist and composer who had a deep musicological interest in exploring another musical language. Only a few composers in the western world would have afforded themselves the chance to do exactly the same thing that McPhee did. His life was completely changed by the influence of Balinese music. He published books about music and culture of Bali as well as the aspect of human life in Balinese society. In fact, McPhee’s works engaging in and focusing on Balinese culture are a great contribution to the Balinese and a good way of introducing Balinese culture to the world. For the present and future generations of Balinese musicians, Mcphee’s works of Balinese music will be standing as an important piece of heritage.The paper is a brief biography of Colin McPhee, focusing mainly on his work as an ethnomusicologist. As a Balinese musician and composer, I am primarily interested in his works as they relate to Balinese culture. I will also introduce some of his western music compositions that were inspired by the gamelan music of Bali. I hope that by doing this project, I will gain a better understanding and insight into what Colin McPhee has done for my music as well as for the field of ethnomusicology in general. Colin McPhee adalah seorang pianis dan komposer berbakat yang memiliki minat musik yang mendalam dalam mengeksplorasi bahasa musik lainnya. Hanya beberapa komposer di dunia barat yang akan memberi kesempatan untuk melakukan hal yang persis sama seperti yang dilakukan McPhee. Hidupnya benar-benar berubah oleh pengaruh musik Bali. Dia menerbitkan buku-buku tentang musik dan budaya Bali serta aspek kehidupan manusia dalam masyarakat Bali. Bahkan, karya McPhee yang terlibat dan berfokus pada budaya Bali merupakan kontribusi besar bagi orang Bali, dan cara yang baik untuk memperkenalkan budaya Bali kepada dunia. Untuk generasi sekarang dan generasi mendatang musisi Bali, karya-karya musik Mcphee akan berdiri sebagai bagian penting dari warisan budaya untuk Bali dan dunia. Makalah ini adalah biografi singkat Colin McPhee, yang utamanya berfokus pada karyanya sebagai seorang etnomusikolog. Sebagai seorang musisi dan komposer Bali, saya terutama tertarik pada karya-karyanya karena mereka berhubungan dengan budaya Bali. Saya juga akan memperkenalkan beberapa komposisi musik baratnya yang terinspirasi oleh musik gamelan Bali. Saya berharap bahwa dengan penulisan paper ini, saya akan mendapatkan pemahaman dan wawasan yang lebih baik tentang apa yang telah dilakukan Colin McPhee untuk musik saya sendiri, serta untuk bidang etnomusikologi pada umumnya. Friedheim, Arthur. 1961. Life and Liszt. The Recollections of a Concert Pianist. New York: Taplinger Publishing Pub. Co.
Malm, P William. 1967. Reviewed Works of Music In Bali, A Study of Form and Instrument Organization in Balinese Orchestral Music, by Colin McPhee, Notes, 2nd Series, Vol. 23, No. 4, pp. 719-720. McPhee, Colin. 1972. A House in Bali. John Day, New York, 1946; reprinted by Oxford in Asia. McPhee, Colin. 1960. Tabuh-tabuhan: Toccata for Orchestra and 2 Pianos/Colin McPhee, New York: Associated Music, Distributed by Hal Leonard. McPhee, Colin. 1948. A Club of Small Men. New York: John Day. McPhee, Colin. 1966. 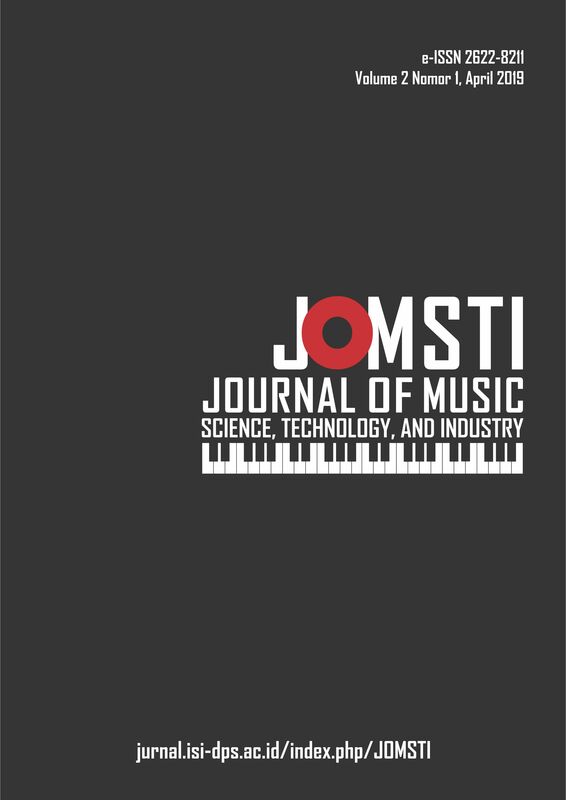 Music in Bali; A Study of Form and Instrumental Organization in Balinese Orchestral Music. New Haven and London, Yale University Press. Oja, Carol J. 1984. Colin McPhee: A Composer Turned Explorer, Tempo, New Series, No. 148. pp. 2-7. Oja, Carol J. 1990. Colin McPhee: Composer in Two Worlds, Washington and London: Smithsonian Institute Press, p. 353. https: //eamusic.dartmouth.edu/~larry/misc_writings/out_of_print/mcphee.rev.html (date accessed: October 12, 2007). Oja, Carol J. 1990. Distant Tones, an Excerpt from the field notes of Colin McPhee, By the Estate of Colin McPhee, The Aliquando Press. Tenzer, Michael. 1998. Balinese Music, Periplus Edition, (HK) Ltd.
Tenzer, Michael. 2000-2001. Reviewed Works of Britten and the Far East: Asian Influences in the Music of Benjamin Britten by Mervyn Cooke, Asian Music, Vol. 32, No. 1, Tribal Music of India, pp. 190-192. UCLA Archive, Colin McPhee Collection. http://www.ethnomusic.ucla.edu/Archive/mcphee.htm (date accessed: October 14, 2007). Young, Douglas. 1984. Colin McPhee: (I) From West to East, Tempo, New Series, No. 150. pp 11-17. Young, Douglas. 1986. Colin McPhee’s Music: (II) ‘Tabuh-tabuhan’, Tempo, New Series, No. 159, pp 16-19. Waterman, A. Richard. 1967. Reviewed Works of Music In Bali, A Study of Form and Instrument Organization in Balinese Orchestral Music, by Colin McPhee, American Anthropologist, New Series, Vol. 69, No. 6, p. 766. McPhee, Colin. 1960. Tabuh-tabuhan, AMP Inc. 1 LP disc: analog, 33 1/3 r/m ; 30 cm. McPhee, Colin. 1996. Symphony no. 2; Concerto for piano with wind octette; Nocturne for chamber orchestra; Balinese ceremonial music, Published by Oakhurst, NJ: Music Masters Classic (LP disc).